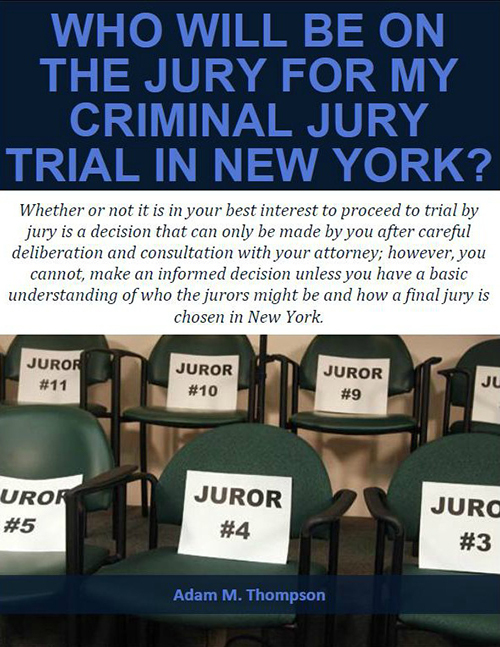 Free Report: Who will be on the Jury for my Criminal Jury Trial in New York? | Raw Law | Law Offices of Adam M. Thompson, P.C. When you are arrested and charged with a criminal offense in the State of New York the judge will advise you of a number of rights you have with regard to your case. One of those rights is the right to have your case decided by a jury of your peers. Whether or not it is in your best interest to proceed to trial by jury is a decision that can only be made by you after careful deliberation and consultation with your criminal defense attorney.